India (MNN) – India’s presidential election Tuesday was more just than a political contest — it was a battle for human rights. And unfortunately, religious minorities came out on the losing end. 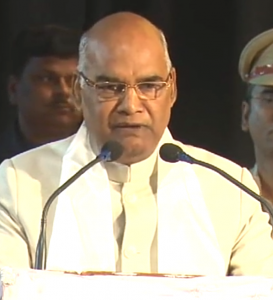 Yesterday, Bihar Governor Ram Nath Kovind, the candidate selected by Prime Minister Narendra Modi’s ruling Bharatiya Janata Party (BJP), was named India’s next president. Both Kovind and Modi are hardline Hindus and have created an environment of fear among religious minorities. Kovind is only the second Dalit president in India’s history — the lowest in the country’s caste system. Many view his election as a strategy by Modi to increase support from Dalits, who are widely viewed as “impure” and face continual persecution. But according to the World Watch Monitor, in May, Modi’s government banned the sale of cattle for slaughter, which led to violence against Muslims and Dalits over rumors that they had sold, bought, or consumed beef. Cows are considered holy in India, but beef is cheap and popular among Christians, Muslims, and Dalits. India’s Supreme Court suspended the ban on July 13, however, saying that it violated the fundamental human right of people to choose their own food. “Having both a president and a prime minister backing this agenda, pushing laws, encouraging those who might even have extreme views like the BJP party in general where they act out violently against Christians, some of these extremists, and Muslims — all this can just be strengthened and happen more frequently,” Fuentes says. Now more than ever, these believers need your prayers. 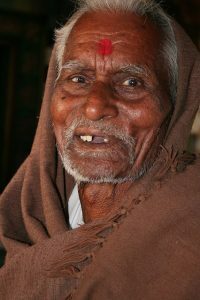 Open Doors works with partners on the ground in India to strengthen the Church and assist persecuted believers with whatever needs they might have. You can find ways to support Open Doors’ work by clicking here.